Clear all 58 jellies and reach 100,000 points to complete the level. This level has hard difficulty. 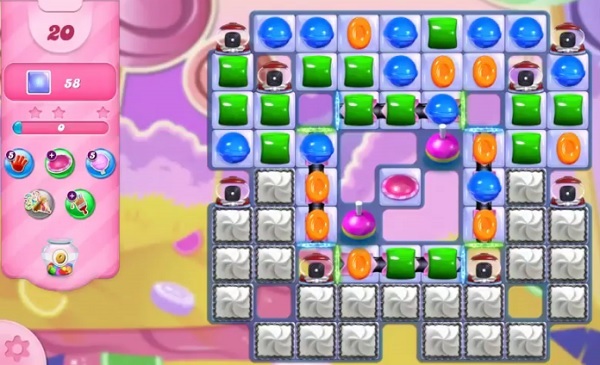 For this level try to play near to icing blockers and make special candy. Combine them with each other or play near to jellies to break them all. I only have 11 moves. SEND HELP SOON PLEASE!! !